We are a trendsetting model Dropout Recovery School District filled with innovative instructional practices and unique programming that addresses the whole child to cultivate student success. We serve at –risk youth ages K-12 from multiple surrounding school districts and counties. We are, most time, these students last best chance for success. The highly engaging staff at Foxfire is dedicated to positively impacting all children's lives and empowering them to become the best that they can be academically, socially, emotionally, and physically. We are committed to doing what works to connect and prepare our students to achieve in the global 21st Century. Relationships, core values, wrap around services, wellness, and technology are the critical components of our educational landscape from age 5 until graduation. Foxfire integrates all aspects of these components into the culture and daily interactions with students. Our mission, vision, values, and goals are clear and entrenched yet change is a big part of our culture. We continually change programming and adapt to meet the needs of our students without changing the core of who we are and serve. Mentoring is a critical component of what we do. Project Based Education and student interventions are at the forefront of our Personalized Education. 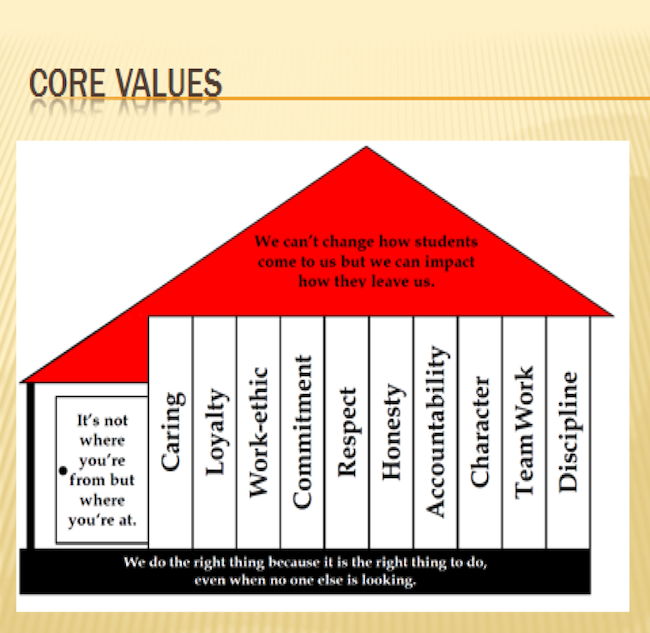 The mission of Foxfire Community Schools is to impact the lives of our students in a positive, direct, and productive manner by teaching them the core values of working together, work ethic, accountability, discipline and servant-hood. The ultimate goal is to empower our students to reach their maximum potential academically, socially and emotionally while assisting them in becoming solid, productive citizens. Success is a by-product of embracing these core values. The goal of Foxfire Community Schools is to create a diverse, flexible atmosphere that meets each of our students’ needs academically, socially and emotionally. This vision will create a variety of options for learning and multiple opportunities for students to demonstrate success!